Make a powder of cloves and cardamoms and keep aside. Heat a kadai and pour all the ghee. Once it melts add atta and mix well and stir continuously to avoid sticking at the bottom. Continue this till the color of atta becomes slightly brown. Add the powdered spice mixture and mix well. Now add sugar and mix well and turn off the burner immidiately. 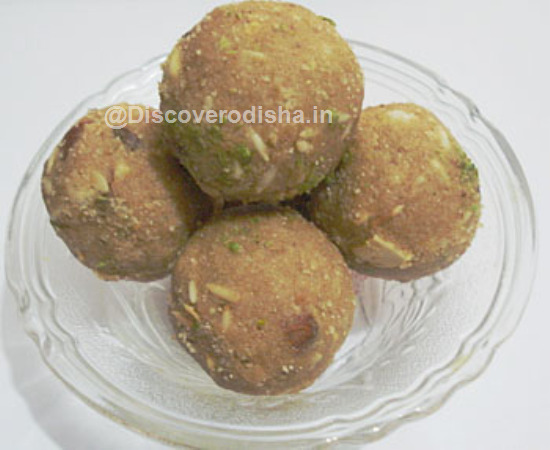 Make round balls of this prepared mixture while hot.